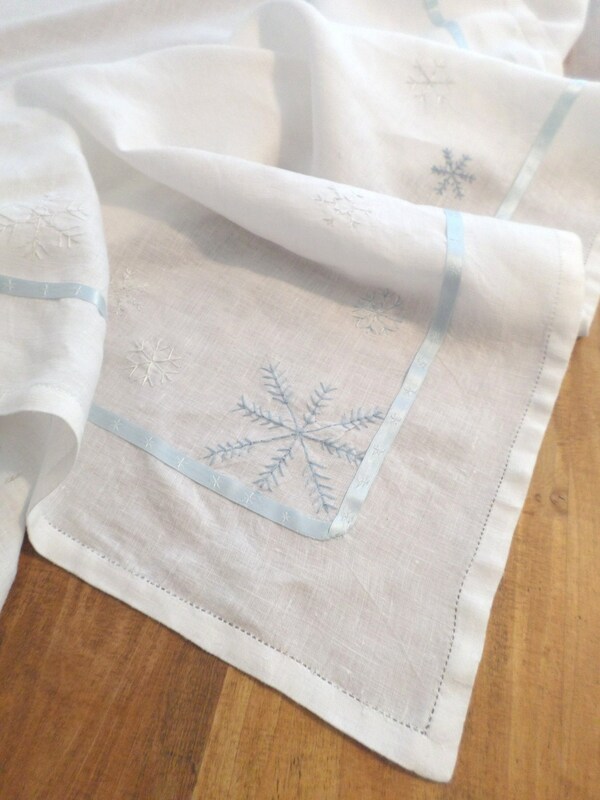 Hand - Embroidered with silk thread and 100% silk ribbon. 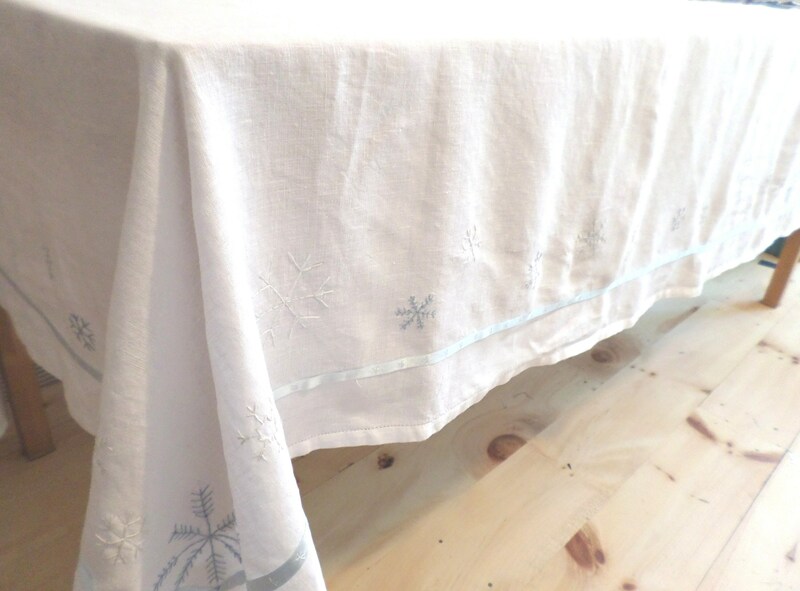 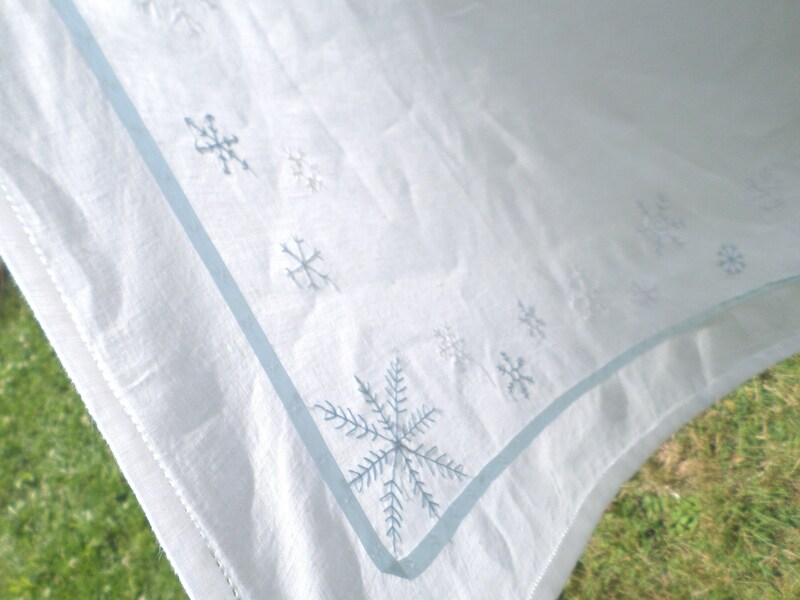 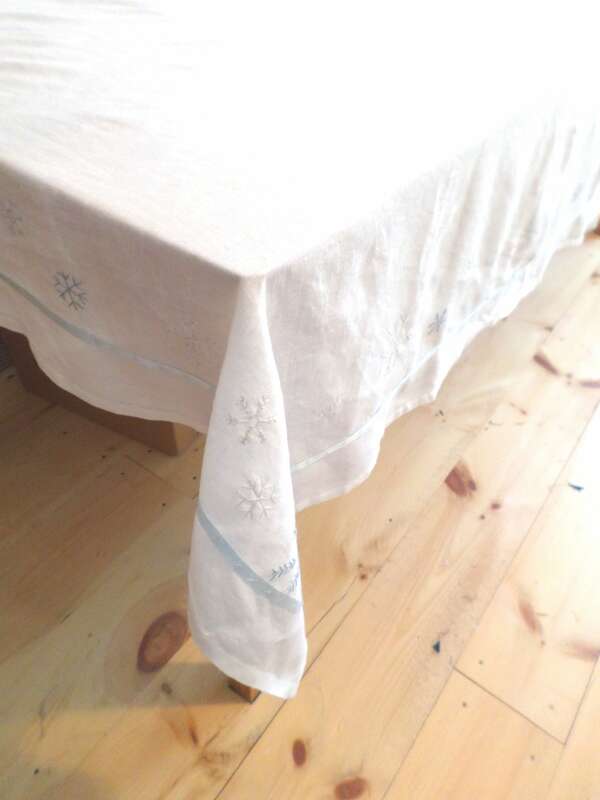 Hand-embroidered with a winter snowflake design in blue and white silk thread. 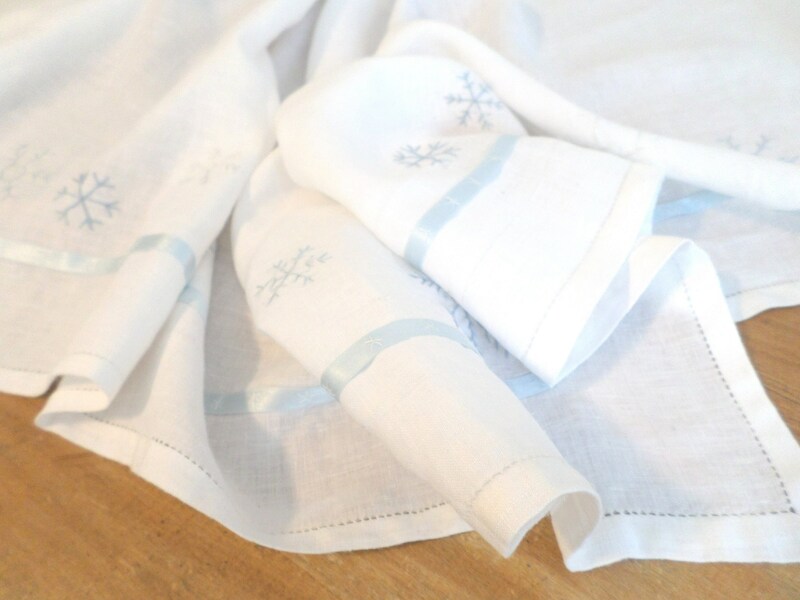 Machine washable, cold water, delicate cycle. 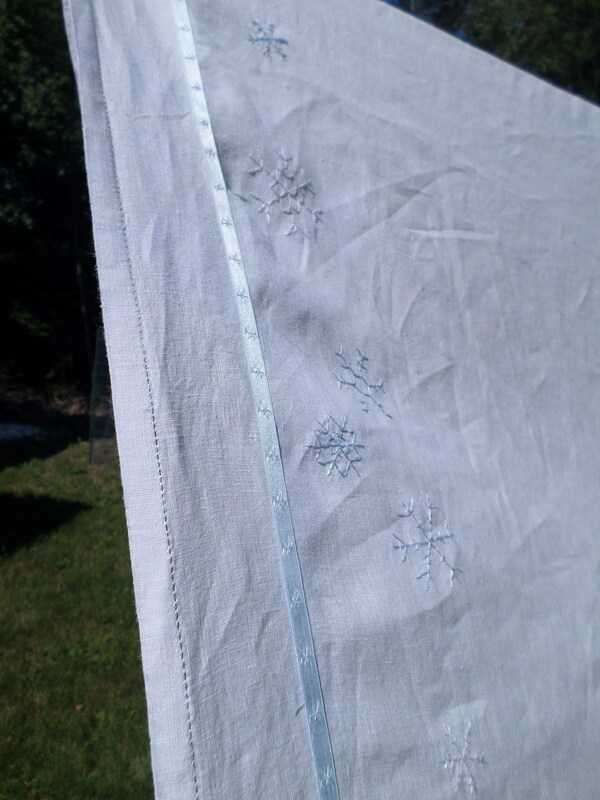 Hang dry, iron as needed.